For children hearing that your parents are going to split up is a big shock. They will feel lots of different emotions including resentment, anger and sadness and its okay for them to feel like this. No-one is going to punish them for being upset for more than a week. Your children will more than likely feel insecure and powerless when they see that their family unit is breaking up. Children may also go through a grieving process, but will show it differently from adults. They will grieve because they don't really understand why the separation is happening. • Help them live their life as normal. Encourage them to do what they always do as much as you can. For example keep the school routine the same, the activities they do at the weekend, allow their friends back after school if that’s what they normally do. Keeping their life as ‘normal’ as possible provides them with security and stability. • Help them stay focused on their goals and dreams. They can still happen and you will still support them in what ever they choose to do - whether that be go to university, go travelling or get a Saturday job. Their dream may be to get married and have loads of children. They can still do that. Just because your marriage did not work out it does not mean that their relationships in the future will not last. • Encourage them to join new clubs and involve themselves in new activities. These may be activities that they have never had the chance to do and wanted to. This is a great fit for children who will be spending regular weekends or weekdays with you or if you have to move out the area. Joining new clubs will give them the opportunity to make new friends doing something that they really enjoy. • If you have moved house find ways for your children to stay in touch with their old friends. Talk to them about going to visit old friends and get them to make use of social websites such as facebook, email, MSN, SKYPE and texts to stay in contact with them. These are all inexpensive but effective ways of keeping old friendships going. • Make sure they carry on eating. Food is also vital – the right kind and often. When children do not eat enough food or enough healthy food (too little protein or too much sugar etc.) their blood sugar levels fluctuate. These fluctuations can lead to mood swings, fatigue and poor concentration. • Exercise should be encouraged as exercise is a great stress buster. It can give children a space to think about their situation, any issues they are having and can get rid of negative thoughts and feelings. Going to the park with friends, taking up a sport at school or running around will help them work off stress and they’ll feel much better. Exercise promotes a good feeling hormone called serotonin. • Suggest to your children that they keep a journal. If they don't want to speak to you try to get them to write their feelings down in a diary. No-one will have access to it just them and they can vent out all their feelings privately. • If your child does not want to open up to you explain to them the benefits of talking to someone they trust with their feelings such as a teacher or a friend of the family, a counsellor or a therapist. 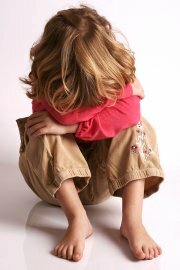 A child should not have to cope with some of their stronger feelings on their own. A problem shared takes away some of the weight upon their shoulders. • Get them to look forward to something. It can be celebrating the end of the school week or an event in the future. • Help your children laugh and enjoy the things in life that they get satisfaction from. Laughter is great medicine for releasing negative feelings.